Update: As of 10am EST, the reports seem to now be updating. If you login to your Google AdSense account this morning, at least right now, you will see you have zero earnings. 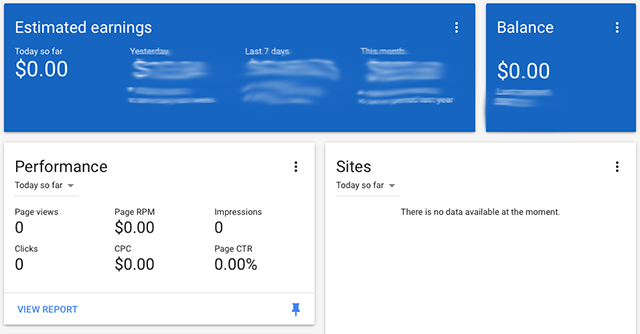 As you dig deeper, you will see Google is reporting zero pageviews, clicks, RPM, CPC, impressions and zero data across the board for all of January 26, 2017. It is like the data stopped funneling in. Supposedly this is not that uncommon, but today's outage seems to have been going on for at least several hours, which is not really normal. Google has not yet commented on the issue, from what I can tell. But rest assured, you are not alone. It is 99.9999% a reporting glitch and you don't need to worry.